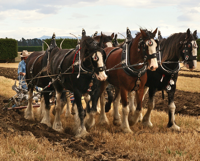 The University of Guelph has periodically called together Canada’s horse community to forge a consensus on our shared priorities. 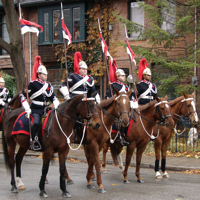 The most recent gathering created the Guelph Equine Public Policy Group, to press those priorities forward with Canada’s governments and public institutions. 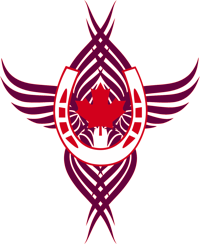 The Group’s mandate is to develop and champion public policies that will enable the Canadian horse sector to be: humane, accessible, and professional; economically, environmentally, and inter-generationally sustainable; and integrated into coherent policy frameworks for education, employment, and culture. The Group is composed entirely of volunteers, receives no public funding, and operates independently of the university. Each member was selected for personal experience and expertise, and is part of the Group as an individual, not as a representative of an organisation or constituency. I am immensely grateful to my colleagues for donating their talents, time, and service to our work. 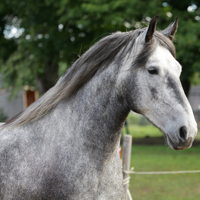 The Group was created by the University of Guelph Equine Industry Symposia. The documents below describe the Group’s genesis, objectives, and means of public accountability. We will conduct most of our deliberations virtually, rather than through physical meetings. To maintain transparency and accountability, we will post timely reports on our activities, decisions, and findings. We will review the outcomes of the Equine Industry Symposia and public contributions, to identify priority issues. We will consult with the equestrian community and subject matter experts, to develop public policy proposals to advance each priority. We will meet with governments and public services, to press forward our public policy proposals. 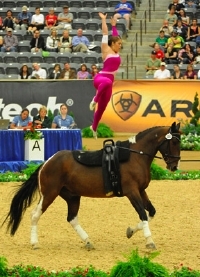 We will report to the Canadian equestrian community on the measurable progress of our public policy proposals. Our meetings with elected representatives and members of the public service will be matters of public record. We will publish a calendar of upcoming meetings, and a record of the proceedings of completed meetings, using the standard format below. We will post webcasts, podcasts, and articles, to keep the Canadian equestrian community involved in our work and to inform Canadians at large about the community’s contributions to the public good. We encourage everyone who would like to participate in our work through social media to use and follow our (admittedly, somewhat unwieldy) hashtag #EquinePublicPolicy.